Light brown. 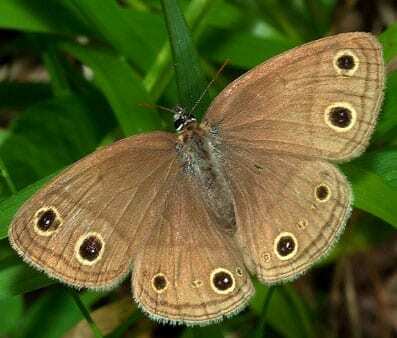 Forewing has 2 yellow-rimmed black eyespots both above and below. Hindwing has 2 eyespots on upper side; but may have smaller spots below.